Since opening its doors in 2007, Ace High RV & Mini Storage has been a Dawson Creek, BC self storage company serving the Peace Region. 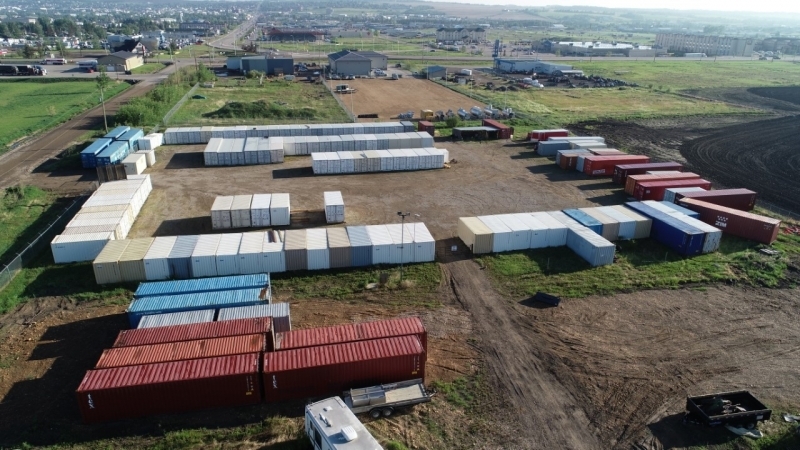 We specialize in secure onsite and offsite storage of personal belongings, recreational vehicles and toys, and business equipment and supplies for small businesses and large industrial and oil & gas companies like Shell Canada (read more about what you can store at Ace High Storage). We also offer c-can conversions, rentals, and sales. Unlike a typical storage facility, we use c-cans (also known as sea cans or sea containers) for storage instead of storage lockers. Secure self admittance to our site makes it a convenient option for anyone needing to store and access their gear. C-cans provide a high level of storage security and flexibility for our customers. They are a nearly impenetrable space that's safe from outside elements for storing belongings. Our many choices of container size means that we can offer a range of prices to best suit our customers' needs. Check out the benefits of sea container storage and how c-cans keep our facility rodent free. Find us by turning off of Highway 2 in Dawson Creek and proceeding on the dangerous goods route to Rd 217 by CO-OP Fuel Cardlock. Turn South on 217 Rd for 200 meters and Ace High Storage is on the left. Check out our Blog or fill out our contact form to learn more! After graduating from the Western College of Veterinary Medicine in 1976 Barry and family moved to Dawson Creek. Dawson Creek is where he established a veterinary practice and raised his family. During his years of practice he was nominated Bovine Veterinarian of the Year by a society of 300 of his peers. He also received awards for contributions to the cattle industry and served as director/treasurer on local/regional boards. Retiring from Veterinary Medicine in 2004 Barry still remains active in the community and enjoys team roping, boating, fishing and the outdoors. and couldn't get at it to use the key. Thank you for, in cold weather and after hours, coming to our rescue, and cutting the lock for us! Julie McGowan"Thank you for, in cold weather and after hours, coming to our rescue"